The Kouraku Kiln was founded in Arita (Saga Prefecture, Japan) in 1865 and has been producing ceramics for the past 150 years. 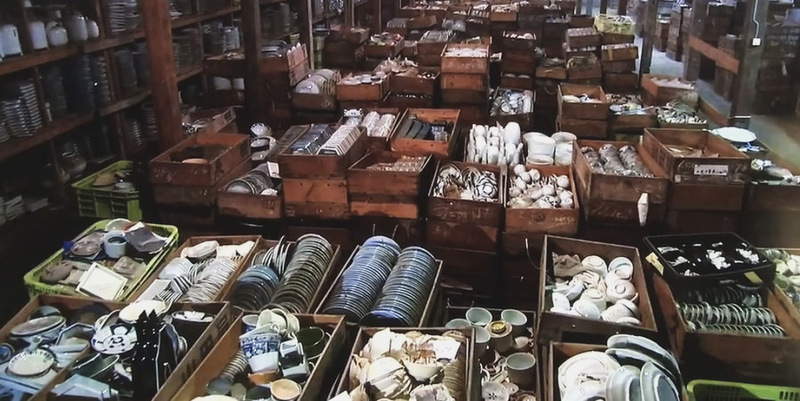 Over that time the facility has accumulated a vast collection of pottery that has, for one reason or another, gone unsold. The warehouse is so vast that some workers use a bicycle to get from one side to the other. And they’ll be the first to admit that even they don’t really know what’s in there. The production facility is now inviting visitors on a “treasure hunt” to try and get rid of some of their stock. — Begin your 90-min treasure hunt. You’ll be given a pair of gloves, a flashlight and a basket. You can take home everything you fit in your basket. — The more expensive course gives you access to a special section of decoratively painted ceramics but both allow you to take home as much as you can fit in your basket. Once done you’ll get to wrap everything up in newspaper so that nothing breaks on your way home. It sounds like a really fun excursion! They even have an English-speaking staff on hand to assist foreigners.